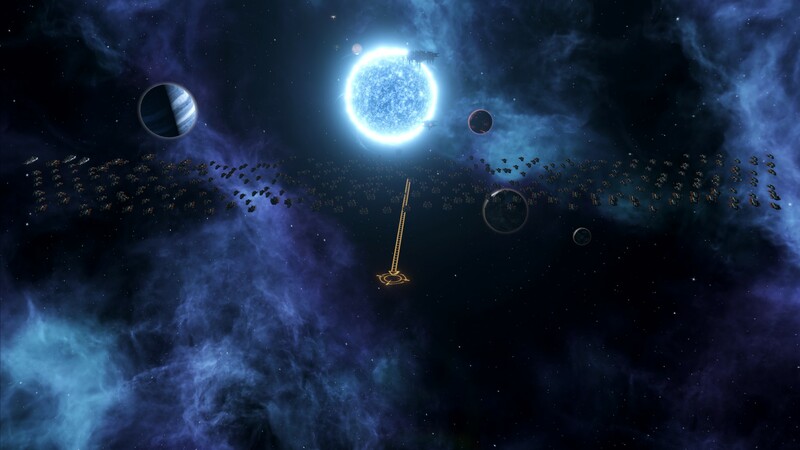 The Celestial Union's Fleet of the Chosen. The Fleet of the Chosen has been tasked with one mission: To capture the UCC's Citadels to prevent them from use in development of their Colossus, a warship with a weapon capable of annihilating entire worlds. The Celestial Union is led by the Kingdom of Maridia, the galaxy's primary superpower, and includes the Regime of Vivis, another one of the superpowers. 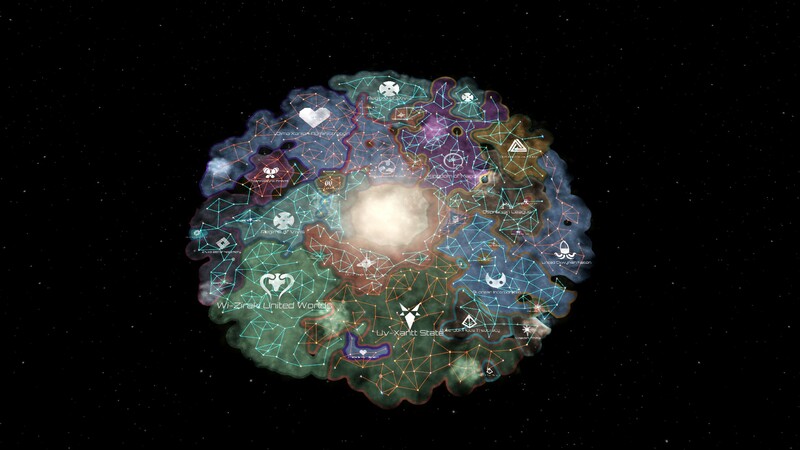 The state of the Galaxy as it stands in the year 2413. The endgame year was set to 2375 at the start, so only 12 more years until the potential start of one of the end-game crises. To the east stands the Celestial Union superpowers of the Regime of Vivis and the Kingdom of Maridia. Ruphaari Incorporated is a xenophobe ruthless capitalist that is also a part of the Celestial Union. To the south lies the Urzo Confederated Clans, a medium-sized power with the backing of the Wi-Ziraki United Worlds and the Uv-Xantt State. Both are also stronger than the Fallen Empires (and the one AE.) The northwest is the exclusive dominion of the Dima'xanain administration, an Inward Perfectionist. They recently put down an AI rebellion using a Colossus. Other nations are either vassals, protectorates, or otherwise considered to be rump states. The 7th Fleet of the Kingdom of Maridia successfully destroys The Lake Fleet of the UCC. There are only a few ships that managed to escape before the fleet was destroyed. Only a lone Destroyer is lost from the 7th Fleet. 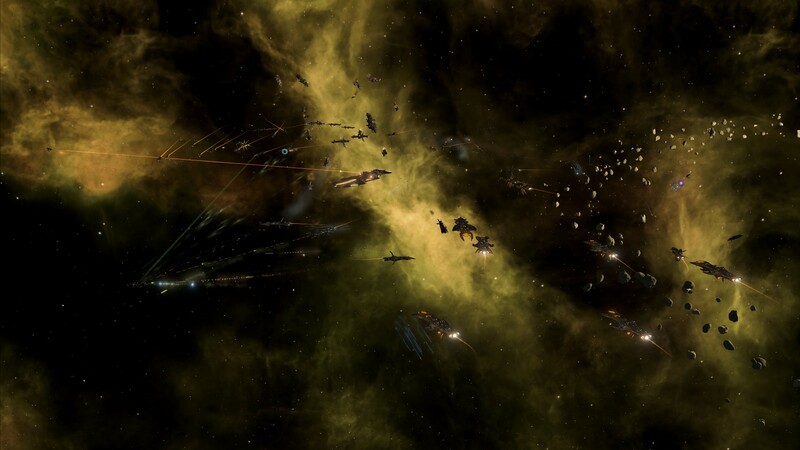 The 4th Fleet invades the UCC core using a wormhole that the UCC once used to colonize worlds separate from their borders. It was this disupte that led to the First Maridian-Urzo War. 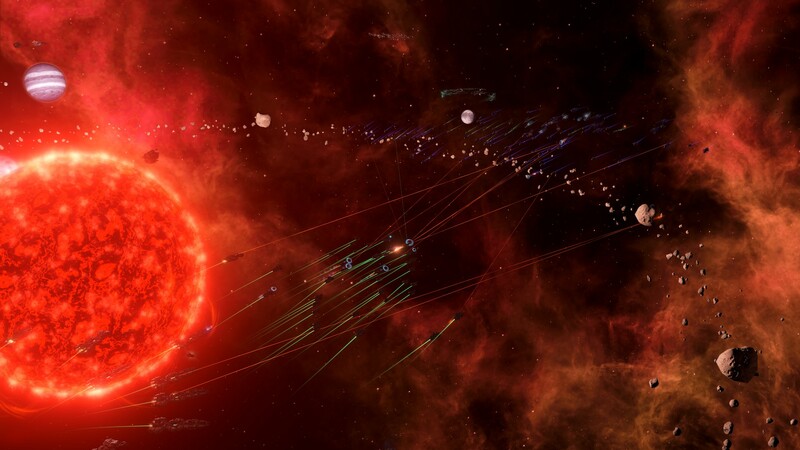 This war gave Maridia control of the other end of this wormhole. On the Vivis-Wi-Ziraki front, the Vivis 4th Corellia engage a Wi-Ziraki fleet fighting for control of the key border system of Med Karash. 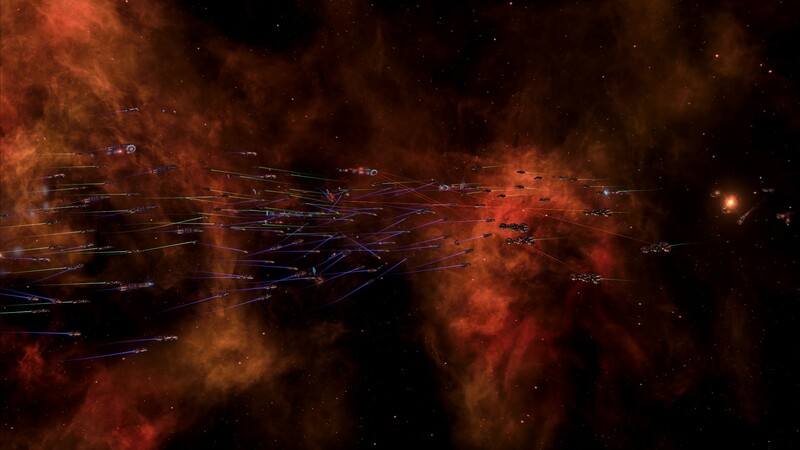 Not pictured is actually a fleet from the Osparanian Union of Stars, a single-system vassal state under the Maridian flag, contributing a small task force to the battle. 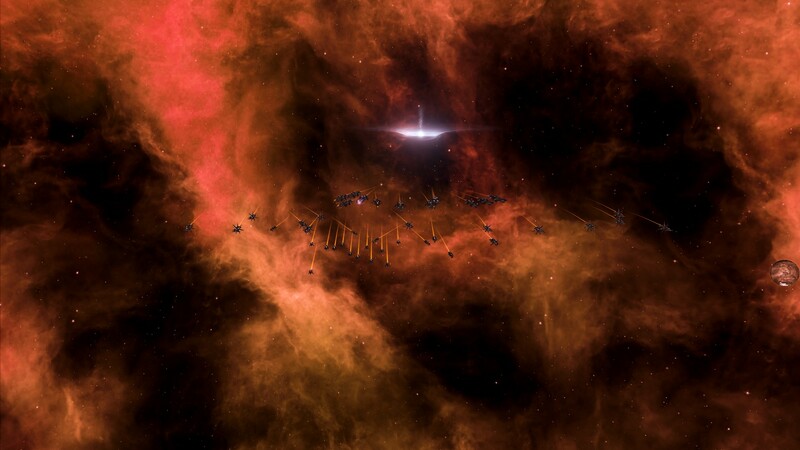 The primary M-type red dwar of Med Karash burns brightly as lasers blot out the sky in the Battle of Med Karash. The three belligerents seek to claim the system, two fighting for the Celestial Union, the other fighting for the Urzo-led coalition. The Ruphaari Corporation sends reinforcements to Med Karash to assist in securing the system for the Celestial Union. 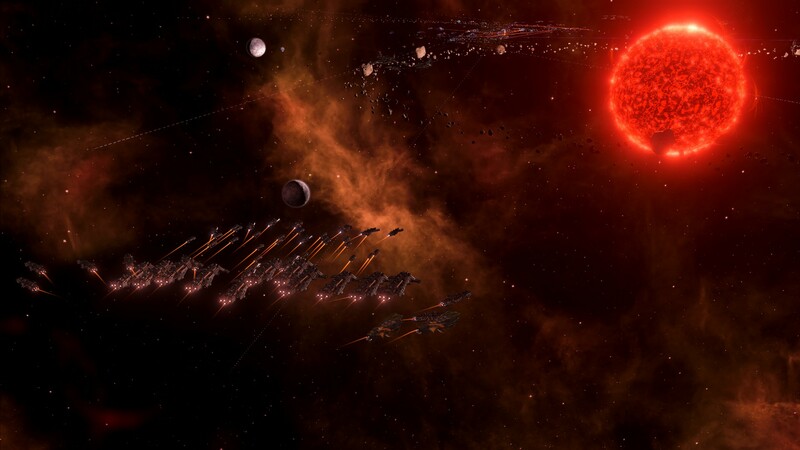 While landlocked between closed-border rump and vassal states, the gateways allowed them to mobilize a fleet. Perhaps Ruphaari Incorporated chose to join the Celestial Union in pursuit of profits. However, in war, there are always economic opportunities.